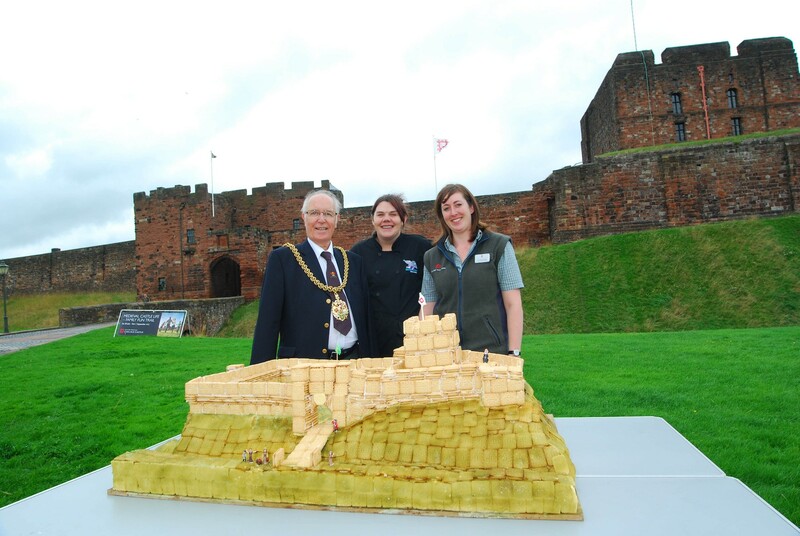 I made this model as part of this year’s Carlisle Pageant celebrations, since the castle and the custard cream are two massive parts of the city’s heritage — and it just seemed right up our street to do something a little crazy. It took a few weeks for me to plan how many biscuits to use and how the whole thing would come together, but the actual build took three days. We started with a polystyrene base, then 1m of cake was placed on top of that, and we used royal icing and ganache to ‘cement’ the 5,000 biscuits so that they would hold. The ‘grass’ is to make the castle stand out from the rest of the structure. This edition of edible archaeology appeared in issue 285 of Current Archaeology.